Cuddling her newborn baby with her toddler sleeping on the floor at her feet, Kari McMartin packs a lot of love into her cozy home in rural Hancock, Iowa. About an hour east of the Council Bluffs city limits, Kari keeps her windows wide open to catch the fresh country breeze. Sitting quietly together, it’s easy to see how she adores her two daughters. Content with her babies by her side, it’s easy to forget the complications that came with their arrival. 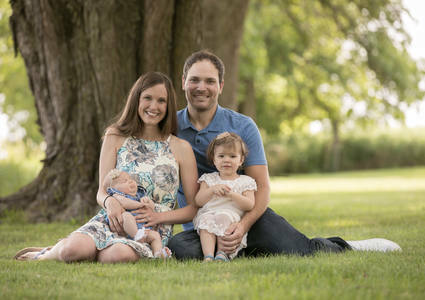 Due to Kari’s medical history – battling and beating Hodgkin’s lymphoma – each of her pregnancies were monitored not only by her OB/GYN, but also by maternal-fetal medicine specialists from Methodist Women’s Hospital Perinatal Center. Also known as perinatologists, maternal-fetal medicine specialists are fellowship-trained and board-certified obstetricians with additional specialized training in the management of pregnancy complications and treatment of high-risk pregnancies. They often work alongside a regular provider when a pregnancy may be more complex. Kari’s obstetrician wanted to work with a maternal-fetal medicine specialist because of Kari’s cancer treatment history. Driving all the way to west Omaha wasn’t always easy for Kari and her husband, a farmer in rural Iowa. During her first pregnancy, traveling to and from Omaha for appointments stole several hours out of their day. But thanks to new outreach programs by those highly skilled professionals, her second pregnancy came with a little extra convenience. Maternal-fetal medicine specialist Brendan Connealy, MD, FACOG, was born and raised in Nebraska. Hailing from Chadron, which is by Connealy’s own definition “remote and rural,” he knows how access to highly specialized medical care – like the care he provides – isn’t always easy for those who live farther away from bigger cities. “Part of my personal drive was to bring skilled services to those people who really need it and sometimes have limited abilities to access it. The maternal-fetal medicine team began by expanding its clinical space and outreach beyond the Methodist Women’s Hospital campus. Twice a week, maternal-fetal medicine specialists hold office hours across the river at Methodist Physicians Clinic Council Bluffs. 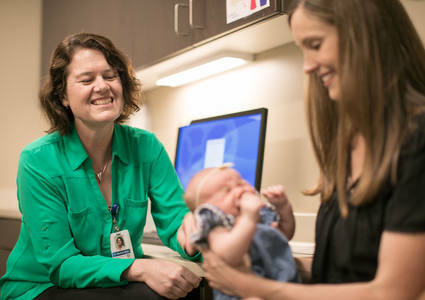 They work with OB/GYNs like Kari McMartin’s provider, Maureen Boyle, MD, to bring care closer to families in Iowa. “What's nice about having them here is we meet them in person and they know how we practice,” Dr. Boyle said. “They understand our strengths, know who we are, and can help guide us through the process when we need them." 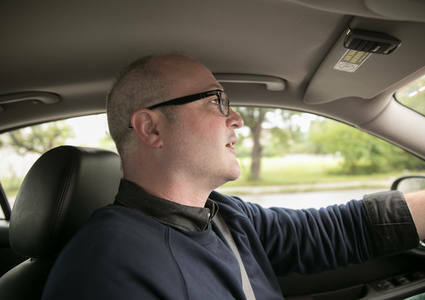 In Kari’s case, the ability to see Dr. Boyle and a maternal-fetal medicine specialist in the same visit cut her commute by nearly 45 minutes. It was a convenience that meant a lot to her and her family. “It made the frequent trips to see the doctor just a little easier,” Kari said. For other families, the distance to see a specialized provider is cut by several hours. Thanks to technology and partnerships that extend even further, Methodist maternal-fetal medicine specialists monitor pregnancies and lend their expertise to providers and patients in areas of far western, central and north central Nebraska. “We’ve opened up relationships with providers, and it has spiraled into a lot of different things,” Dr. Connealy said. “We are in a unique position where we have a large group of providers, several of us who have connections to the state, and so we have the ability and manpower to provide this service." 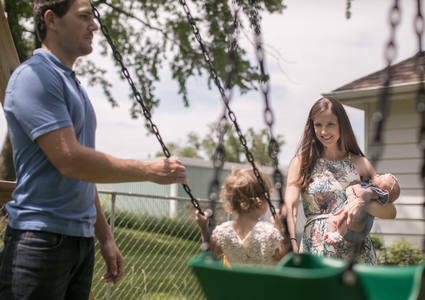 Twice a month, Methodist maternal-fetal medicine specialists drive to Hastings and Grand Island to visit with patients and providers in person. In between those visits, they take advantage of telemedicine services. 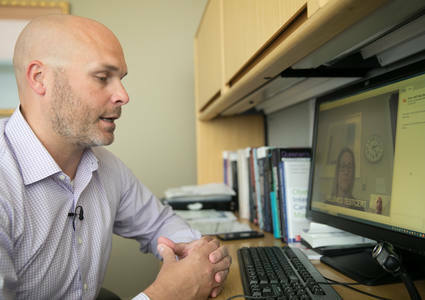 When they are not in front of patients, Methodist maternal-fetal medicine specialists are often in front of a camera and computer having a one-on-one consultation from across the state. Via telemedicine technology, the specialists read ultrasounds sent to them by providers as far away as Albion and Norfolk. “We are able to screen and monitor mothers for conditions that risk their health or the health of their baby, as well as identify any issues with their baby through ultrasound,” Dr. Dahlke said. “We have sonographers who we train and are able to do ultrasounds and obtain images which they can then share with us through our system,” Dr. Connealy said. “I sit down and review that with a patient where I'm talking to them through a live video feed." When long-distance care is required, the relationship begins with an initial consultation. From there, the maternal-fetal medicine specialists, patients and their primary care providers work together to plan out the rest of the pregnancy when it comes to monitoring and ultrasounds. That plan can look very different depending on the complexity of the situation – everything from a one-time consultation to weekly surveillance. Kari knows just how much it means to stay close to home. Her two pregnancies were treated by maternal-fetal medicine providers, but at two different locations. Her first daughter was born at Methodist Women’s Hospital and her second was delivered closer to her Iowa home at Methodist Jennie Edmundson Hospital. “We really couldn’t have asked for a better team of providers," said Kari. "Feeling comfortable and confident in the care and direction we received was very important to us." This story was featured in the Summer 2018 The Meaning of Care magazine. Learn more about maternal-fetal medicine services.